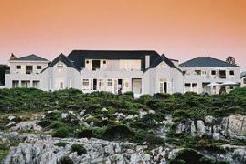 Ocean Eleven is an Olde Worlde, Cape Cod, Colonial-style guest house, situated on the famous cliffs of Hermanus just a stroll from the town center and Hermanus Golf Course. 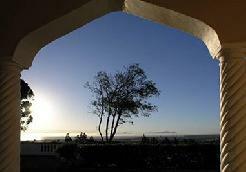 The picturesque mountains beyond gently embrace the phenomenal, all encompassing vista of the bay. The main house of Ocean Eleven was built with all the high ceilings, tall windows and teak floors that made Colonial architecture so utterly elegant. All these features - and thus the grace and style - have been retained to this day. Ocean Eleven boasts ten beautifully appointed rooms - three standard, five deluxe and two suites. Every bedroom has an all-embracing sea view over Walker Bay. 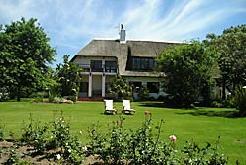 The three Standard Rooms are situated on the ground floor of the guest house. Two of these are in the old house and have the original floors, high ceilings and windows opening out onto the garden. 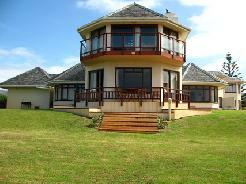 The third is adjacent to the swimming pool, with French Doors leading out onto the deck. All three rooms provide en-suite accommodation with a shower. 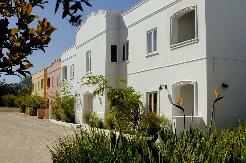 There is a wide variety of Deluxe Rooms, three of which are situated near the pool - either upstairs or on ground level. The fourth room has a separate entrance and its own private balcony. Finally, the fifth Deluxe Room is situated in the old house and has original floors, a walk-in dressing room and French Doors opening onto the garden. All are en suite with bath and shower. 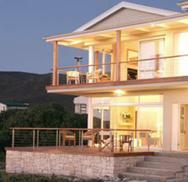 At Ocean Eleven your comfort is guaranteed, it is an upmarket 4 star standard venue ideal for combining some whale watching and golf on the nearby Arabella and Hermanus courses.